TutorPanel goes where you go. 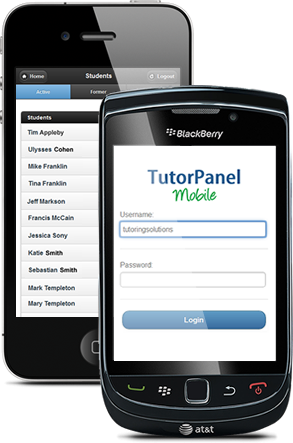 With TutorPanel Mobile you and your tutors can access key information from your TutorPanel accounts via smartphone. Quickly access student or parent contact information, view your tutoring schedule, reconcile tutoring sessions and more!